11:11 ACC Introduces a new gallery space within Toolbox LA in Chatsworth, Ca with a small works artshow highlighting San Fernando Valley creatives who work in all mediums. This fun and funky salon style art show will be an avenue to further plug into the network that is the growing San Fernando Valley art community. Join us for the 11th Affair of the Arts in downtown Culver City. View and purchase art from 50 of Southern California's premiere painters, photographers, sculptors, ceramicists, wood workers, glass blowers and jewelry artists. The Affair also features live music, live painting and interactive activities for children. In the spirit of using art to create a better world, proceeds will fund the life-changing work of our non-profit, The Peace Project. 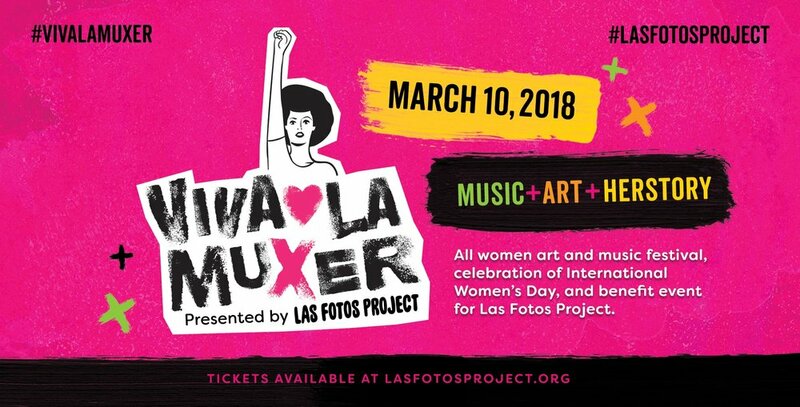 PLUS: Downtown Culver City restaurants will be welcoming festival attendees with food and beverage specials, so come for the art and stay for the day!! A weekend shopping destination at Central Park in the heart of Old Pasadena, featuring over 200 local, hand-selected artisans, crafters, and DIY enthusiasts. Shoppers can expect to find trendsetting indie goods including original fashion and jewelry design, ceramics and paper goods, innovative home decor and housewares, art and photography, plus much more. 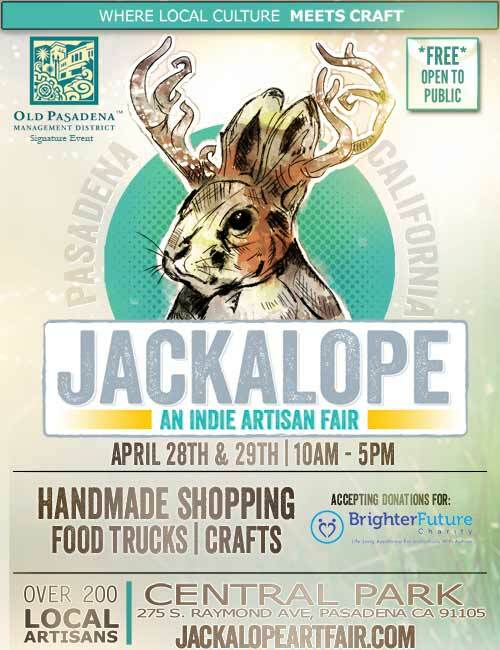 Details: Jackalope Indie Artisan Fair is FREE to attend, however donations are encouraged to Brighter Future Charity our event beneficiary. This location is open to all ages and is handicap accessible. Leashed pets are welcome. Explore Día de los Muertos, a vibrant celebration of life and loved ones at MOLAA's annual festival!Learn more about this cultural tradition through art workshops, live performances, gallery tours, face painting, food and unique craft vendors. Día de los Muertos attire strongly encouraged - Come dressed as a calavera! Our annual Community Ofrenda and Art Exhibition will also be on view! Green St. & Madison Ave.
It’s been a whole year since we started quietly putting down roots and blossoming in our dream incubator. We want to celebrate all things green and lush and creative. Come to Art Basil; An all-natural, home-grown, totally organic art show. As we continue to grow between these cracked LA sidewalks, we invite you to join us and share your locally grown work as part of our anniversary show.